Register Now for Spring Carnival! 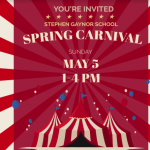 Join us for Gaynor’s Spring Carnival on May 5 from 1-4 pm! Click here for information and to register. Dr. Gaynor welcomed nearly 700 guests over the course of the 2-day, 4-part Relatives and Special Friends Day which was held for the first time in the brand new Performing Arts Center. 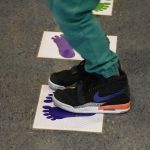 In honor of April being OT Month, Gaynor’s occupational therapy department created a sensory hallway with quick movement activities for students. 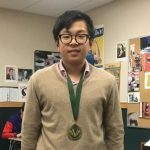 Eagle Hill freshman Tyler Tang ’18 is settling in life after Gaynor not just in academics but in extracurriculars. 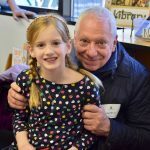 Register today for Gaynor’s Spring Carnival on May 5 from 1-4 pm! The school will be transformed into an innovative carnival with fun games and activities for the whole family!